Korean movies represent a unique form of cinema that strays far away from the classic Hollywood scripted movies. Many people who had a chance to see some Korean movies on a whim started to become fascinated with them due to their interesting plots and amazing character development. Whether you like comedies, drama, romance or action movies, you can find Korean movies masterpieces in every genre, so feel free to give them a chance. We have made this top 10 best Korean movies of all time, and before diving into a quick synopsis (spoiler – free of course) for each movie, let’s take a look at our list. Western movie lovers rarely get the chance to see the other’s side perspective on war and this Korean movie follows the impact of Korean war on a normal family through the story of two brothers, Lee Jin-Tae and Lee-Jeon forced to fight in the war. Although not political in nature, the message is simple, war is hell regardless of which side you are on. 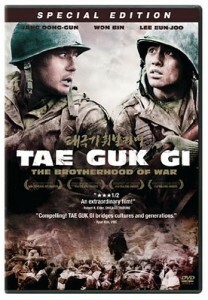 A great Korean war movie, highly recommended. A lighter movie than the powerful dramas reviewed above, The Good, The Bad and the Weird is a remake of The Good , The Bad and The Ugly set up in Manchuria 1940s, a great replacement for the traditional country movies setting. With plenty of non-stop action sequences and a touch of comedy, this Korean movies tells the story of 3 characters, the Good (the bounty hunter Park do-won), the Bad (the bandit Park Chang-Yi) , the Weird (the thief Yoon Tae-Goo) and their quest to find a buried treasure. 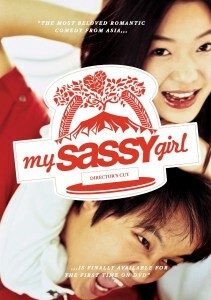 The American remake of this movie is a total disaster, so do yourself a favor and watch the original Korean movie. Based on the true story of Kim Ho-Sik , a blogger who started posting online posts describing his troubled relationship with an unnamed girl that turned into an internet sensation, the couple in this movie will steal your heart with the naivety and challenges of their love story. 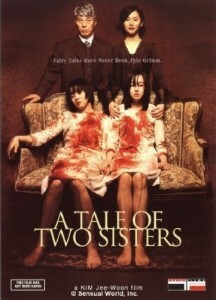 Another Korean classic based on a true story, the investigation of the first serial killings in South Korea and the struggle of the police force to deal with such a sophisticated killer using outdated and old fashioned investigations techniques. The main characters of the movie are the two detectives, Park Doo-Man a simple cop overwhelmed by the complexity of the case that requires the assistance of city cop, Seo Tae-Yoon. Their relationship is not a classical best cop friends one, as each has different opinions on how to deal with the case and sets the pace for a very interesting movie. Highly recommended. 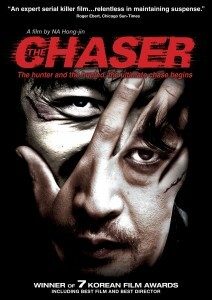 A breath taking thriller, this Korean movie is highly underrated. A dirty cop who acts as a pimp on the side, Joong-Ho, is facing financial ruin as one by one his girls disappear without paying their debts. Since the police is not doing anything to solve the case, he starts an investigation of his own to locate the girls and the results are shocking. If you are looking for the best Korean thriller, look no further as this one is a masterpiece. An unique story based on an old cliche, a Bittersweet Life presents the life of a highly respected mobster who does not follow the orders of his boss. With an average rating of 7.7 on IMBD, this is a hidden treasure of Korean movies that you’ll surely enjoy if you like action packed crime dramas. 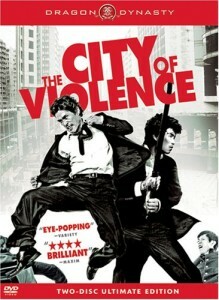 Another Korean crime movie, the City of Violence presents the story of Tae-Su who gets together with his old high-school friends to investigate the death of one of their colleagues under suspicious conditions. With a smart script and brilliant acting, you will be kept at the edge of your seat for the whole duration of this movie.